Hello, my Rex bunny Mittens is a female I bought from a pet store in August. Her approximate age was 4-5 months. It's now November, her litter box use has been successful until now. She is a family bunny, free to roam our house most days. At night she sleeps in the cage. She sleeps upstairs when we all go to sleep. She follows us around the house. She enjoys new people. She's mild mannered and never has bit or pooped/peed outside her huge living space cage until now. She has been letting go everywhere and anywhere she decides. For the first time she peed on our couch. We put her in her cage. Later let her out and again she began doing it again. She lightly bit my 6-yr-old daughter. I don't understand why this is happening. She's a happy bunny who gets so much attention. She is not spayed however I plan to do this in a couple of weeks. Do you have advice for us? I don't want to punish her by keeping her locked in a cage but I don't want my house to turn into her litter pen either. She is healthy, no sign of illness. Thank you so much. From a rabbit's point of view, Mittens was a teenager when you bought her in August. She was eager to learn and was on her best behavior. By the time she reached sexual maturity a couple months later, most rabbits, especially those in colder climates like yours, have gone into a resting phase which lasts until just about...now. I'm not certain about why your doe has suddenly and completely forgotten all her toilet manners, but I can say with certainty that Mittens is a restless adult doe looking for a mate. I feel confident that the two things are connected - your doe 'forgetting' how to be a pet, and awakening to the yearnings of her rabbit-hood. First things first: Under no circumstances is it okay to nip a child. Perhaps you can closely supervise the interactions between child and rabbit until you catch Mittens in the act. At that point, speak sharply to it with displeasure in your voice, and push her head to a lower position with your hand. This is exactly what dominant bunnies do in the wild to assert their dominance or to deliver a reprimand - they rise up over another rabbit and compel it to take a lower place physically. You must also do this, since in your home YOU are the big bunny. And perhaps you can also teach your 6-year-old how to do this as well, to assert her dominance over the rabbit and not permit it to bite. Next, to address the potty-training: I'd suggest curtailing your rabbit's freedom to a much smaller area until it re-learns how to politely urinate and defecate in your home. Keeping it in the cage is not cruel, BTW, it is consequences. Do it again. And when you let it out again, release it into a corral, not the whole house. Place a litter box in that corral. When you can trust it in the corral, expand the space little by little, over as many days or weeks as necessary to ensure the correct bunny behavior. A bathroom or a space with easily cleanable floors is a good place to use as a stepping stone to more freedom. The sudden untidiness doesn't mean the rabbit is a slob - the unwanted behavior is tied to hormones and to the fact that the rabbit is a rabbit. 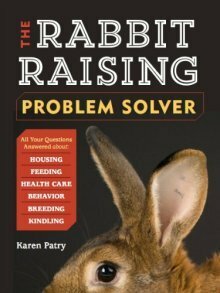 Now that it has become an adult, taking steps to re-condition the rabbit may improve its house manners as well as help reinforce the fact that you call the shots. Mittens needs to be a cooperative, submissive rabbit in your home. After all, in the wild, most rabbits must take the cooperative, submissive place toward the 'king' and 'queen' rabbits in the colony. Let us know how it goes...!